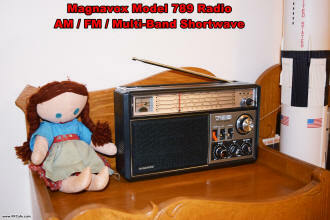 One of the many benefits of marrying my sweetheart, Melanie Sue (nee) Goodwin, was the dowry that came along with her ;-) Included amongst the cache of her childhood collectables was a nice assortment of Peanuts paraphernalia, stuffed animals, high school band equipment, storybooks, assorted furniture, and as seen here, a nice Magnavox Model 789 AM / FM / Multi-Band Shortwave radio. It is a very nice radio and will pull in stations that other radios we own can barely receive. 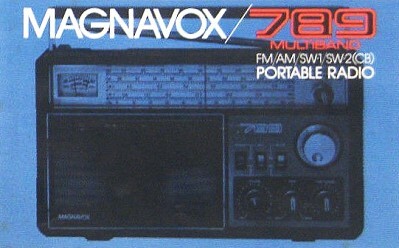 In fact, I use it on a regular basis to listen to WJR in Detroit (150 miles across Lake Erie) and WBEN in Buffalo (81 miles as the crow flies). 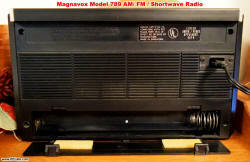 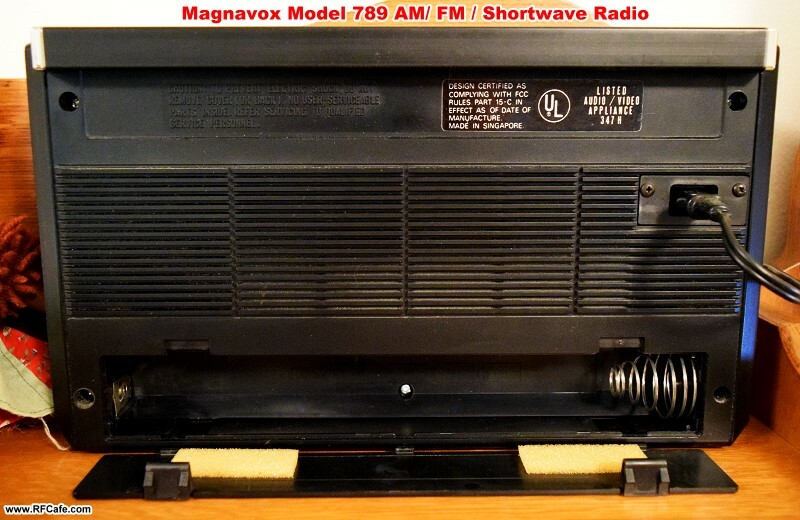 Magnavox, which per Wikipedia is Latin for "great voice," still makes home audio equipment, but nothing much in the way of radios - mostly just Bluetooth speakers.